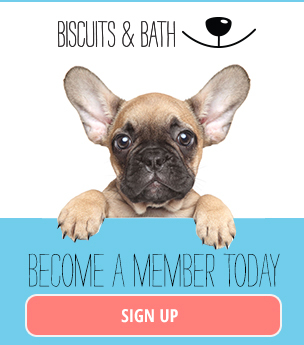 Biscuits & Bath is the total wellness destination for you and your beloved companion. Just like people, dogs need plenty of socialization, as well as physical and mental stimulation to thrive. 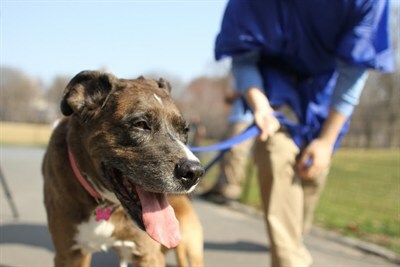 Our open pack-environment runs are the perfect place for your pup to let out their energy and be mentally stimulated. Age, breed, and size make every pup unique. 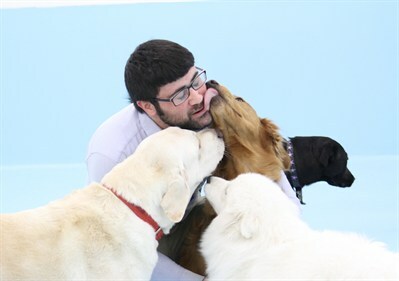 That is why all new dogs get a complimentary new dog integration & behavior evaluation from our Behavior Counselor as we safely introduce them to their new friends. By understanding each dog's personality and needs we will help you find the best schedule, activity, and play groups for your dog. Let us help you with all of your nutrition, behavior, exercise, socialization, hygiene, and medical needs. 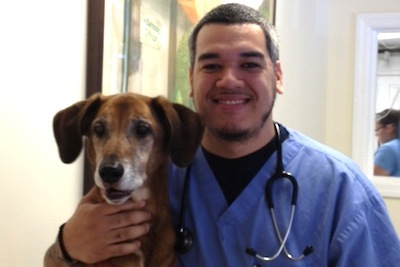 Our 22 years of experience have taught us the nuances of dog care that you will not find anywhere else. For instance, did you know that drinking water too quickly following exercise is a common cause of canine bloat, the 2nd leading cause of canine fatality after cancer? Accordingly, we only give water following rest and downtime periods. Call us to learn more and take advantage of our wealth of knowledge. Do you get conflicting advice from your veterinarian, trainer, and friends? You are not alone. With everything under one roof, we take your dog's complete needs into consideration , no matter how unique they are. Rest assured your dog is in safe hands with us. We observes all canine law & best practices in order to maintain a pristine play environment for your pup. We strictly enforce NYC health code requirements and require all of our guests' vaccines be up to date to help prevent the spread of airborne viruses. We actively seek in-house growth. 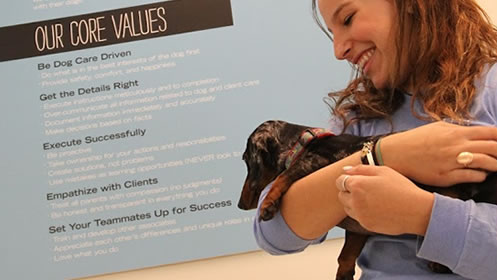 Those associates excelling in interactions with dogs and parents compassionately and professionally receive more responsibilities & opportunities. We love seeing you smile when your pup runs up to give us a big wet one! Turning to a familiar face/voice is certain bliss. 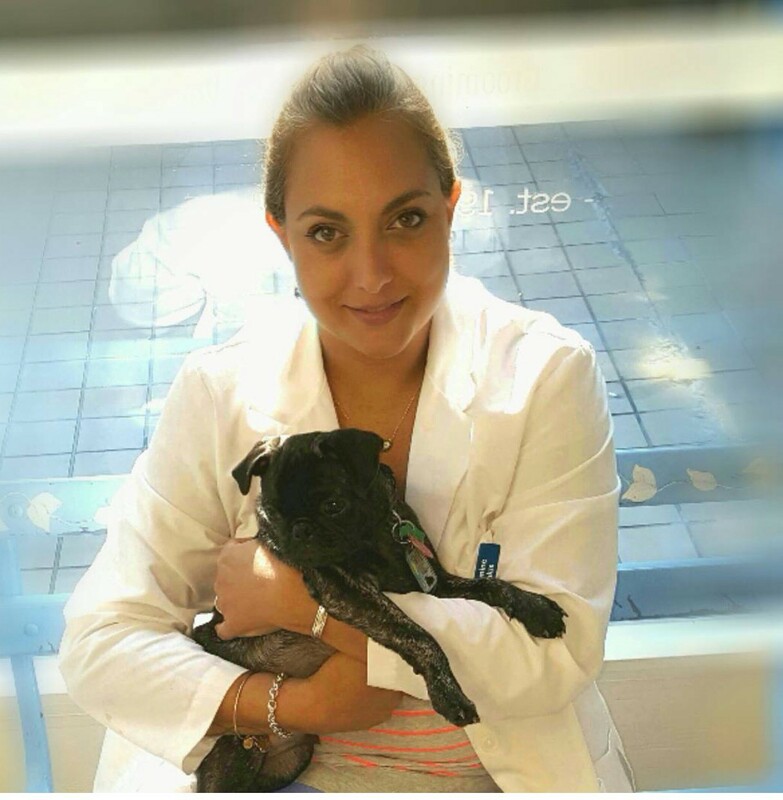 We are committed to sharing as much as possible with you about your dog's experience. That is one reason that we use as much glass as possible in our facilities. In addition, by joining our family you will be able to view photos and videos on our Instagram page, and update calls about who’s playing with your pup. If something happens, we work to make sure you are called immediately. It will be like you’re right here with us. 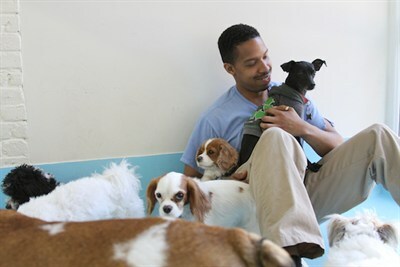 Carry peace-of-mind with you to the office knowing we have been providing care for dogs since 1990. If you have a question - ask it. If you have a suggestion for improvement - kindly let us know. We are continually innovating and improving based on your feedback and experiences. We are so delighted that you chose us that we want to thank you! That is why we created our Rewards Program. For every dollar that you spend, you will earn one point redeemable toward any number of discounted or complimentary services. In addition, our Referral Program rewards you for any of your friends that you refer to us. Who knows, maybe you’ll never have to pay for day care again! Rain, Sleet, or Snow…Morning, Noon, or Night…Weekday, Weekend, or Holiday, B&B is there for your pup when you can't be. Never get stuck because your private dog walker did not show up or wants to take a vacation. Enjoy the comfort of a professional and experienced service knowing that we will manage any obstacles in your schedule to make your life easier. 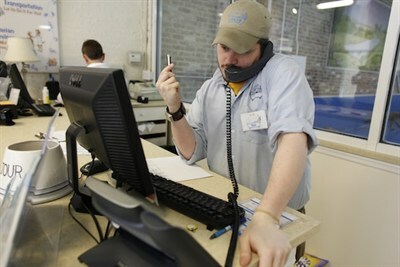 Call and speak with a live Client Care specialist whose sole job is to stay on the phone with you as long as you need. No more running around the city! Why go anywhere else with your pup when we can service your canine needs all under one roof. Our Total Wellness Program features Day & 24-Hour Care, Training Services, full-service Grooming, Veterinary Care, Nutrition & Retail, and Transportation. Let your dog come play, sit & stay, have a spa day, get a check-up, and sleep with us! Then we'll give them a ride home. You can't get that anywhere else.